Telling your story with quality, honesty, and service . 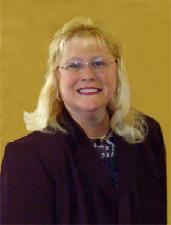 . .
Patricia Martin, President/CEO, founded the company in 1993 and incorporated in 1994. Martin began her career in TV News working for WFAA-TV in Dallas, a top-10 major market ABC affiliate. Martin has worked in all types of communications from corporate to non-profit and, after 30+ years in the business, feels Martin Media can handle almost any type of project large or small. Pat is also an Extra Class Amateur Radio Operator and has earned the top certification from the ARRL for Emergency Communications. Jim Martin, Vice-President and Senior Producer, also began his career in broadcast television as a cameraman for WFAA-TV. He previously worked with GTE, later Verizon, corporate offices in the Department of Public Affairs. Prior to that he built several production facilities from the ground up including: Visnet, Inc. for Verizon, Telecable of Richardson, and others. His thorough knowledge of production, as well as engineering, is a tremendous asset when shooting in field locations. He has FCC certification equivalent to the First Phone and is an Extra Class Amateur Radio Operator. 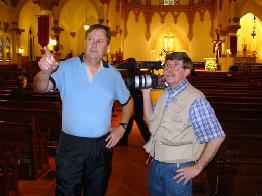 Jim Martin (above left) with Gary Bauer during a recent video production to create a "Papal Greeting" for the Catholic Diocese of Dallas to be shown prior to the Mass with Benedict XVI during his visit to Washington, D.C. in April 2008. Professional, quality crews are hired as needed depending on the type of production--live or pre-taped, or whether it's local or in a remote location anywhere around the world. Martin Media -- providing quality video and media production as well as fundraising consultation for all your organization or corporate needs.